I’ve been feeling anxious lately. 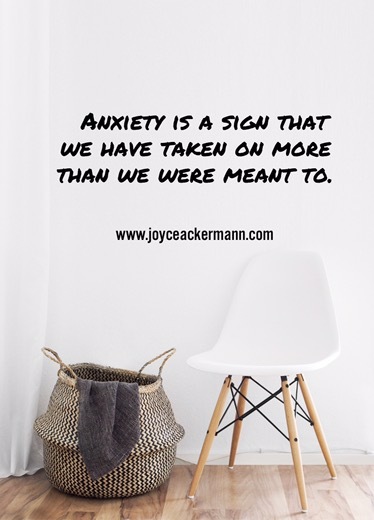 It’s that obnoxious type of anxiety because I once had peace – a lot of it and it feels like I’ve misplaced it somehow. Doctors have run tests and scans and I am perfectly healthy by all accounts. But I could barely function. Peace, joy, and a host of other good things were seeping out of my life and I couldn’t understand why. I was being the mom my kids needed. I was being the worship leader that my church wanted. I was being the wife that supported my husband. I was being the daughter I should be. I was being the friend that was always available to listen. I was doing all the things I thought God wanted me to do and be. All of these roles serve people I love. And I am passionate about being all of those roles- mother, worship leader, wife, daughter, friend. But all of me was hurting. Let me just say, not a single person asked me to be something I’m not. I’m driven by nature and sadly sometimes still find my worth in what I can do rather than who I am. Am I called to be all of those things. So since last Fall, I’ve been muddling through what life should look like for me, because I don’t want to be that exhausted again. Ever. But thank God for good friends and strong coffee. I have a friend, and musical mentor extraordinaire, tell me that she felt like God was telling her that I was taking on too much. That was what God gave me as my starting place and like I said, the past 6 months have been a painfully slow learning process. So what’s the secret of juggling the demands of life without losing ourselves in the process? For me, it’s been learning about boundaries and rest. But sometimes the most practical words are the most spiritual and more importantly, the ones that God is speaking in the moment. I’m hoping to blog more on this- because it’s important. It’s important to remember to have some fun in this life and that we are worth far more than what we produce. Amen Joyce! Boy do I need that message!